Everyone's wants to get higher rank in search engines. and the many bloggers forget the SEO which can lead them to success. if you want to get high rank in google or other search engines and it will also increase your blog / website traffic. then you must apply these tips when you write a blog post. in this article you will learn how to keep your readers interested and structuring your text and writing. 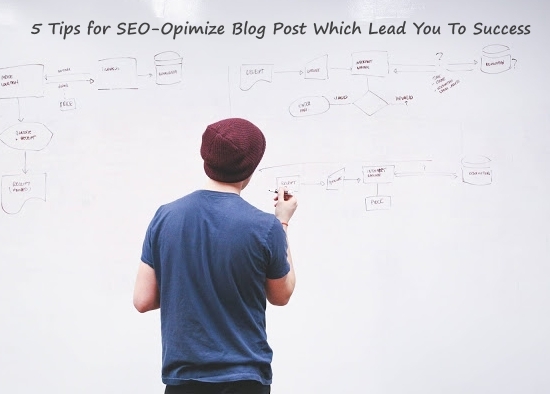 When creating the blog post, few things that you should keep in your mind to write fully SEO optimized post for your blog / website. if your readers like and understand your article then 99% chance that they will share your blog and also bookmark your website. writing is a skill and you have to improve your skill and also learn new things. It will help you a lot. Think before you write a post, clear the concept to your readers, Explain everything about your post. keep one thing in your mind and that is the purpose of the article and how you gonna write it down, create the structure of your post (you will learn this in the next step). write helpful article so the audience can learn from it. research more about your topic. Structuring the post is the one of the main parts. writing an informative article without structuring it, It's useless, You have to design the structure of your post, Make sections of your post and combine with each other, Describe about your article in easy words. make it look better. also start with an introduction about your topic. You don't need to be Albus Dumbledore to use magic in your article, All you need to do is use our magic words in your post. apart from jokes, now let's focus on main concept. You may notice that Every blog / website uses paragraphs in their articles. You should also use the paragraph tags in your posts. and make sure to not start a new sentence with a new line to make it looks better. Using headings in post / page is very important to SEO and also your readers. and also use subheading in your post. Subheadings can help your people and also can help search engines to scan your page, topic and the structure of your articles, you can also use some keywords in your subheading and it will help you do drive more traffic from search engines. Linking to the previous articles which related to your current article is the best way to reduce bounce rate and it helps to engage your visitors. it will also increase your pageviews. So you must link previous post to your current post. If you want to make Google fall in love with your post then you should write long articles, Your article must have 300 words as the minimum limit of the article. And Google attracts too long article. so if you want to make Google love your article and get higher rank in search engines than start write around 700 word posts. Let other people read your post before you publish your post. if you he/she understands your post and the concept of your article. then you can publish the post. make sure to Ask them to check for your typos, sentences, grammar. you can also use the grammar tools to correct the typos and grammar mistakes. published your new post and you think your job is finished?, NO! Completely wrong. You still have one thing to do after publishing your post. And that is "SHARING YOUR POST " so you need to share your post on Social Networking websites such as Twitter, Facebook, Google+ Reddit. If liked this article then make sure to like and follow us on Twitter and Facebook. SEO activities require lots of man hours and efforts to beat the online competition and so it is advised to hire an SEO expert or an SEO firm to manage your website promotion, and you must learn the basics of SEO to avoid the SEO frauds and unethical SEO techniques. Such a great article on SEO for beginners who don't know more about search engine optimization. Dominez votre niche avec un référencement optimal de votre site Internet. Résultat garanti. I always try to keep my article length in between 550-1000 words and make it well seo optimized. Thanks for sharing this informative post.